The Rangoon rumor-mill is frequently active, but this might be the juiciest story for years—a soap opera-style plot involving Than Shwe’s grandson, a celebrity model, a jealous ex-boyfriend and a sordid kidnapping. Sources close to Burmese celebrities told The Irrawaddy that rumors have spread like wildfire around Rangoon in the last two weeks that Snr-Gen Than Shwe’s favorite grandson, Nay Shwe Thway Aung, 17, helped a friend, Aung Myo, kidnap his ex-girlfriend, celebrity model Wut Hmone Shwe Yee. The two allegedly abducted Wut Hmone Shwe Yee from an unknown location in mid-December and drove her to Nay Shwe Thway Aung’s house in Hlaing Thayar Township where they held her for three days. The teenage model’s friends apparently attempted to contact her during that time but could not locate her. According to tabloid journals in Rangoon, model Wut Hmone Shwe Yee is currently the girlfriend of Burmese Hip-Hop star Sai Sai Khan Hlaing. Last year, a YouTube video clip of Sai Sai Khan Hlaing and Wut Hmone Shwe Yee was popular among Burma’s young internet users. Private journals and magazines in Burma were reportedly refused permission by the Burmese censorship board to publish photos of the model for at least a week in late December after rumors of her kidnapping spread, according to members of the journalist community in Rangoon. Rangoon-based Weekly Eleven published an interview with Wut Hmone Shwe Yee in its December 31 edition. However, no mention of any abduction was made. Sources in Rangoon told The Irrawaddy that Wut Hmone Shwe Yee has taken out a lawsuit against Aung Myo. Nay Shwe Thway Aung has reportedly provided a lawyer for his friend. Wut Hmone Shwe Yee declined to comment on the issue when The Irrawaddy contacted her by phone on Thursday, saying she was too busy. Nay Shwe Thway Aung is currently studying at Yangon Institute of Technology in Rangoon and is known to be Than Shwe’s first and favorite grandson. He has often appeared in Burma’s state-run media alongside his dictator-grandfather at state ceremonies and on trips. However, Nay Shwe Thway Aung is no stranger to controversy. In October, reports circulated that he had used influence to get his girlfriend, model Nay Chi Lin Let, enrolled in Institute of Medicine 1 in Rangoon. Nay Shwe Thway Aung was also implicated in a drug scandal in Rangoon last May. Two of his friends, Burmese tycoon Maung Weik and a son of Lt-Gen Ye Myint, Aung Zaw Ye Myint, were arrested after a member of the Than Shwe family found some pills—thought to be ecstasy—on Nay Shwe Thway Aung’s person. Maung Weik and Aung Zaw Ye Myint were charged with procuring and selling drugs. Than Shwe’s son, Thant Zaw Shwe, was also at the center of a scandal in recent years when rumors spread that he was involved with certain Burmese celebrities and models. This is not the first time a kidnapping plot has been associated with the families of Burma’s powerful military elite. In the late 1990s, rumors spread that Gen Ne Win’s favorite grandson, Kyaw Ne Win, and his friends had kidnapped Nandar Aye, a daughter of junta No 2 Vice Snr-Gen Maung Aye. A few years later, in early 2002, Ne Win’s grandsons and his son-in-law were arrested and charged with treason. NB. This full story of the post is intended for the readers who cannot visit the Irrawaddy website. A chilling sound reverberates these nights through many of the villages of the cyclone-devastated Irrawaddy delta—the metallic clang of an iron bar beaten by soldiers to drive away the spirits of the drowned that many believe roam through the region. Soldiers stationed in Laputta Township said they had been assigned to strike iron bars after dark to reassure villagers who claim they are seeing the ghosts of people who died in Cyclone Nargis. Burmese Buddhists traditionally hold two religious ceremonies—Yat Lae Hsun and Thet Pyauk Hsun—to ensure the release of the souls of deceased family members.Mass ceremonies were held for the thousands who died in Cyclone Nargis—yet villagers in many part of the devastated delta claim seeing the restless ghosts of cyclone victims. “Villagers told me they heard ghosts shouting almost every night around midnight,” said a visitor to Laputta Township. She said that during her stay in one village people claimed they were being visited by the spirits of dead relatives and friends asking for help. A report on the Web site of The Seattle Times, quoted a 30-year-old Laputta woman who described how she had seen her dead husband. He appeared to her one evening as a blurry image on the path he had normally taken home from work, she said. The image waved to her. Even soldiers assigned to reassure nervous villagers are reporting strange encounters. Soldiers report seeing mysterious lights flashing and hearing voices around the isolated seaside village of Konegyi. The “ghost sightings” are attributed by some NGO workers and medical personnel working in the delta to the mental trauma suffered by cyclone survivors, who lacked proper post-disaster counseling. –>NB. This post is specially for those who cannot visit the Irrawaddy website. Our Web site has been crippled and disabled by DDoS attacks since Wednesday. If the junta’s paid stooges are indeed involved in these attacks, then we have learned a lesson—that the “powers that be” in Naypyidaw are nowadays well armed and more sophisticated. Exiled media organizations, including The Irrawaddy, believe that foreign agents and cyber criminals have been hired to attack exiled Burmese Web sites. We have offered our solidarity to fellow media Web sites, including the Democratic Voice of Burma and New Era Journal. They too have been badly crippled by the DDoS attacks. However, we are not giving up and we will never give up. This is not a personal attack on the journalists and editors at The Irrawaddy—it is an attack on independent journalism and press freedom. The military junta is determined to prevent the flow of information in and out of Burma. The attack will only make us more determined to focus on our mission—to bring you the truth from Burma and the region. We will continue to provide our regular columns and timely news and analysis to you. 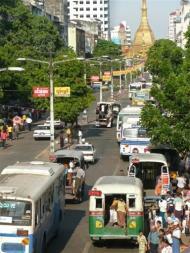 You can now read The Irrawaddy news at a temporary site: http://theirrawaddy.blogspot.com. We would like to express our sincere thanks to friends who helped us immediately by providing technical advice and consultancy to recover our site. Our special thanks go to Internews in Chiang Mai and SEAPA in Bangkok. We also would like to thank our readers and colleagues who sent messages of support and advice. We would like to ask our readers for any support, technical advice or expertise they can lend us. As we are now rebuilding our site, using mirror sites and changing our Web hosting, we would also like to invite interested donors to contribute to our work. We regret to inform you that the Irrawaddy Web site is still unavailable due to a severe attack that has also targeted a number of other exiled Burmese media groups. We attempted to redirect Irrawaddy readers to a mirror site, but that site has also come under attack. Our technicians worked until 2 a.m. to correct the problem, but finally had to take both sites offline. Unfortunately, we still don’t know when we will be able to return to regular service. We have been informed by the company that hosts our Web site that the attack was severe and sophisticated, and will resume immediately if we attempt to restore service. As a temporary measure, we will be posting online content on a new blog, http://theirrawaddy.blogspot.com, until further notice. Please visit this site for updated news and other regular features. For news in Burmese, please visit http://theirrawaddyburmese.blogspot.com. We have also received reports that Internet speeds in Burma have been very slow since Wednesday, and that Internet cafes in Rangoon have come under heavy surveillance, with police and officials checking customers’ ID cards and monitoring Internet use. 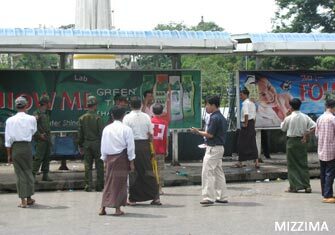 These developments come on the anniversary of last year’s monk-led uprising known as the “Saffron Revolution.” At the height of the crackdown on peaceful demonstrations, the Burmese regime stopped all Internet traffic into and out of the country to stem the flow of information about atrocities being committed by the army and security forces. We would like to assure Irrawaddy readers that we will make every effort to keep you informed of the situation inside Burma. We thank you for your patience and continued support. The online news service of The Irrawaddy remained paralyzed by a cyber attack on Friday, although technicians expressed optimism that it would be back in operation by Monday. Three other Burmese exile news operations that also fell victim to the attack restored their services on Friday, leading to hope that The Irrawaddy Web site would also soon be again accessible. The attack knocked out The Irrawaddy service on Tuesday and also struck the Oslo-based Democratic Voice of Burma and the New Era Journal, based in Bangkok. All were intermittently put out of action. The three opposition news services, operated by Burmese exiles, were hit by a “distributed denial-of-service”, or DDoS. A DDoS attack creates a “traffic jam” at the entry to a Web site as masses of fake, robot “visitors” try to access it. INET, the second largest host server in Thailand, confirmed that The Irrawaddy Web site, http://www.irrawaddy.org, had been disabled by a DDoS attack since September 17, the day before the 20th anniversary of the mass anti-government demonstrations in Rangoon on September 18. The Irrawaddy’s “mirror site,” http://www.irrawaddymedia.com, was also disabled by DDoS. 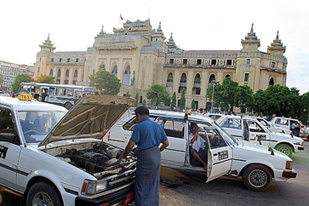 Rangoon visitors to The Irrawaddy Web site reported on Friday that they could access it by setting new proxy servers. A DDoS attack is orchestrated by an aggressor hiring a hacker who claims the power to control thousands of PCs around the world with the ability of using them to attack a Web site. Fees for the services of the hacker vary according to the size and duration of the attack, but usually start at around US $500, according to one technician. Win Thu, The Irrawaddy’s office manager, who also oversees its technical team, said the attack that struck the company’s Web site appeared to have been targeted by such a hacker. The nature of DDoS made it likely that the attack would be limited in duration, he said. Aye Chan Naing, DVB’s chief editor, said his organization received several phone calls and anonymous e-mails two months ago, claiming cyber attackers were Burmese technicians who had trained in Russia. 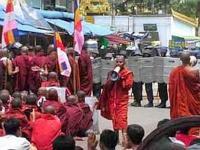 Exiled media groups, bloggers, reporters inside Burma and citizen journalists played major roles in the reporting on the Buddhist monk-led uprising in September 2007, highlighting the brutal suppression of the monks and their supporters in the streets of Rangoon. 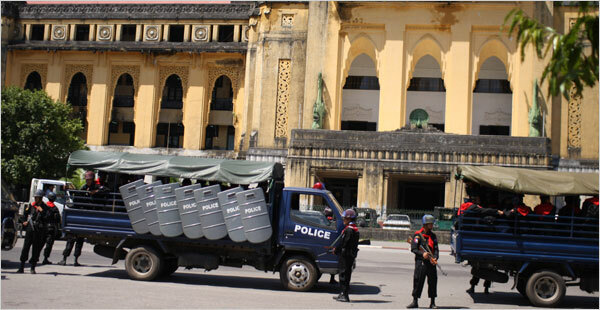 Recently, the regime has tightened its watch over Internet cafes in Rangoon. In some Internet cafes, users have to show their ID, while informers observe students playing video games. Buddhist monks complain that they are treated like criminals if they are seen using the Internet.